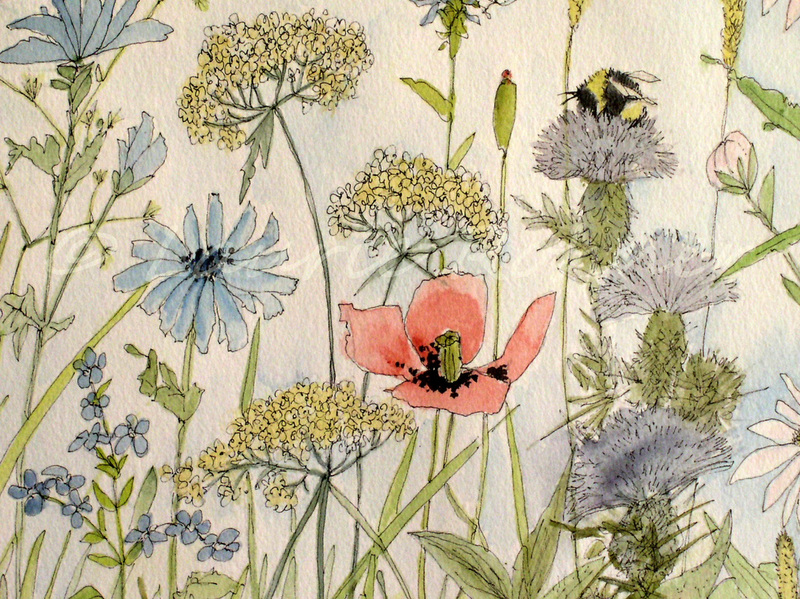 SOLD Garden Flower Illustration Botanical Watercolor Original Art Wildflowers Herbs Bee Painting by nature artist Laurie Rohner. 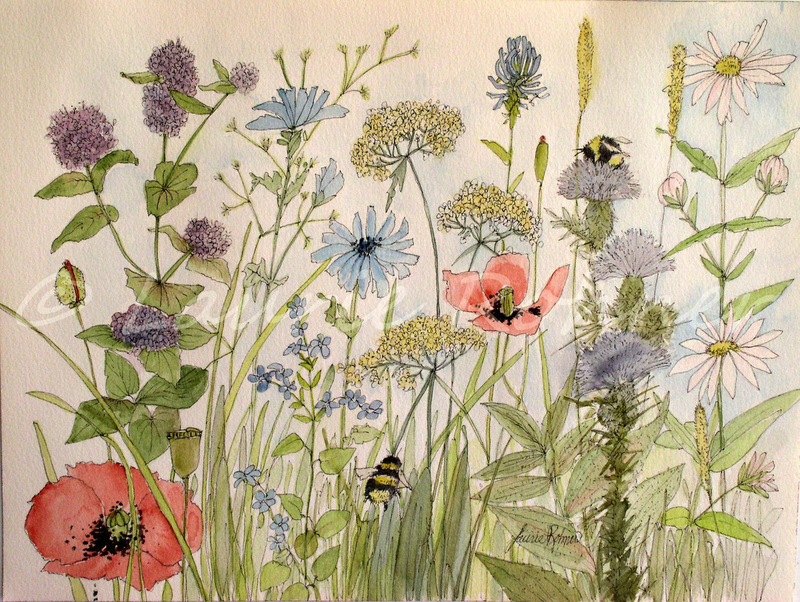 An original watercolor illustration of garden flowers, wildflowers, and herbs with bees is a botanical watercolor painted with subtle hues by nature artist Laurie Rohner for Between The Weeds. 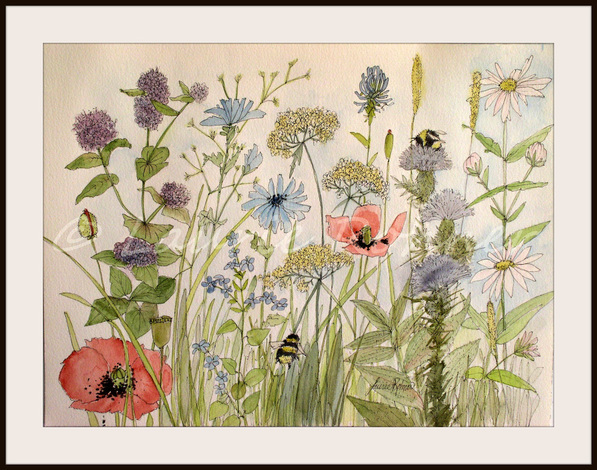 My watercolor painting garden flowers with bees buzzing is a whimsical original nature artwork and sure to bring joy to anyone in love with gardens. Signature: Laurie Rohner on front, title signed dated on verso. I have shown this watercolor in a mat and frame for you. This watercolor comes unframed. Comes professionally wrapped and ready to give as a gift. Ships USPS mail. 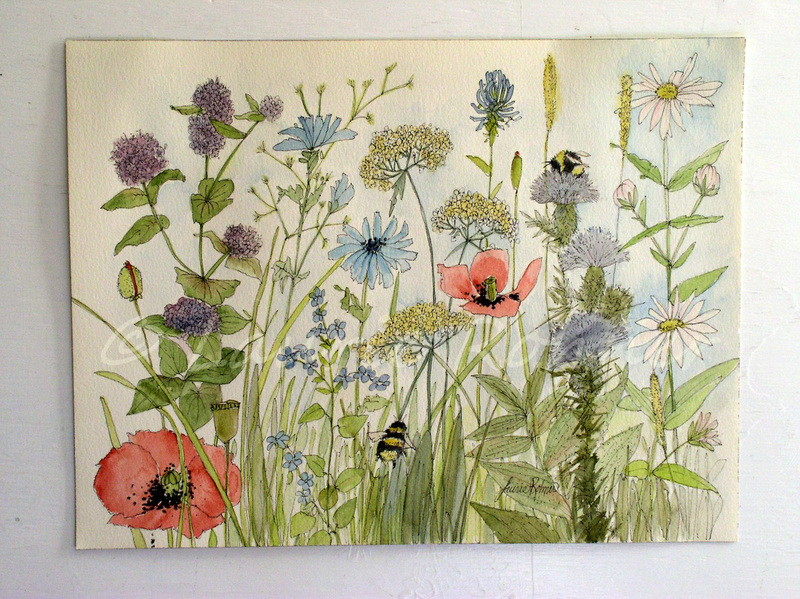 Buy art, original watercolor nature art, inspired by botanical gardens and nature, makes great wall art. 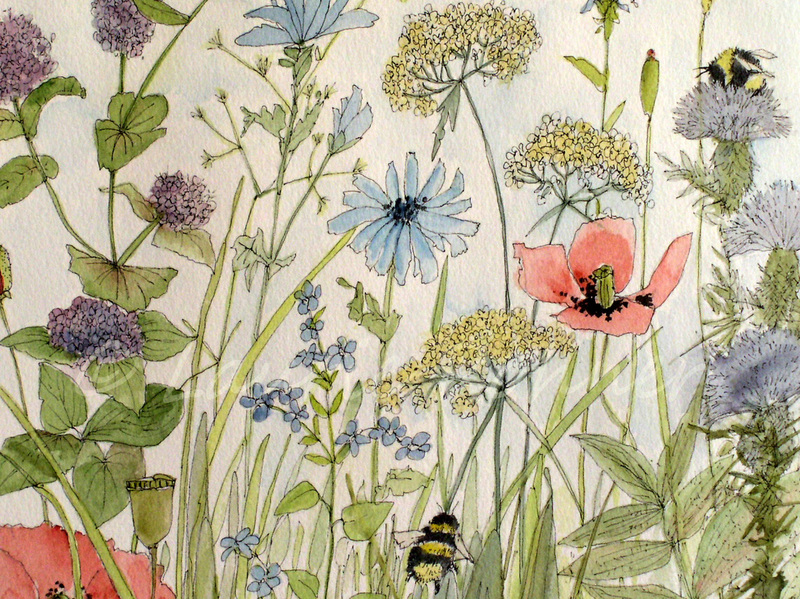 You will love my hand-painted watercolor nature art. Great for gift giving home decorating and fine art collectors. My nature art work is original one-of-a-kind paintings that are suitable for framing. The watercolor art you will receive has it's own unique and individual qualities only an original watercolor can give. All of my watercolors are made with the finest archival quality materials - Arches Watercolor Paper and Windsor and Newton Artists Quality Watercolors - and professionally packaged to arrive safely. Windsor and Newton Artist Quality Watercolors are renowned for their superior color permanence, balance and amazing color range. Your painting is safely packed and shipped via Priority Mail. I ship everywhere please read shipping policy for more information.